To view: click on file of interest to download, with google earth open, open downloaded file. Don't have google earth?Get it for free. Monitoring efforts in the backwoods of the Mattole are ongoing. Pacific Lumber is working on a draft proposal for new logging rules. They are expected to propose that they be allowed to log closer to creeks. This would give them both access to areas of untouched ancient forest and contribute to erosion. Logging close to creeks also reduces shade which raises water temperatures, thereby threatening the Salmon and Steelhead downsteam. 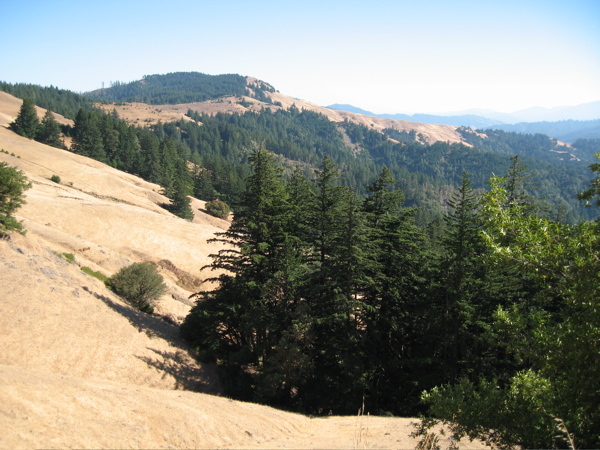 In the Mattole River Watershed, the Pacific Lumber Company has logged most of what is currently permitted under their "Habitat Conservation Plan". 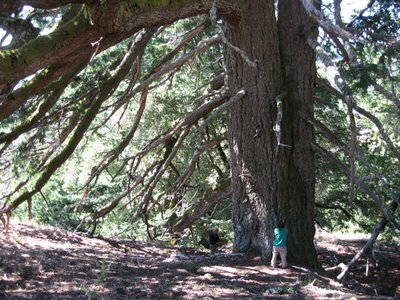 Now they are seeking to loosen these restrictions so that they can log closer to creeks, thereby gaining access to previously untouched areas of ancient forest. Ancient Douglas Fir in the Headwaters of Sulpher Creek, tributary to the North Fork Mattole River. This tree has been named Double Tree by defenders. 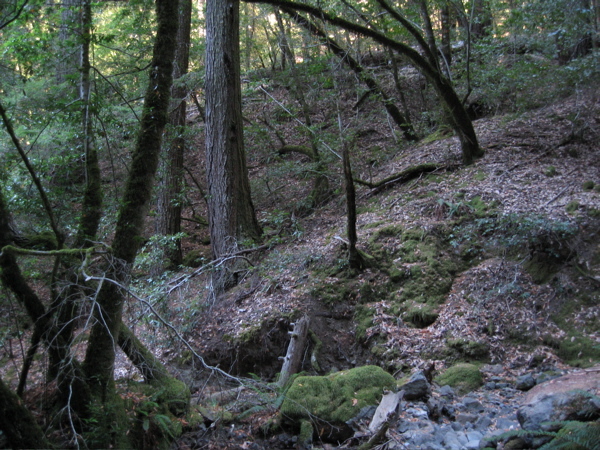 The Headwaters of Sulpher Creek. The North Fork of the Mattole River contains the highest density of old-growth forest remaining on Pacific Lumber land. There are over 2,000 acres of ancient forest in this remote region of sweeping prairies, steep unstable slopes and abundant geological activity. Rattlesnake Creek. 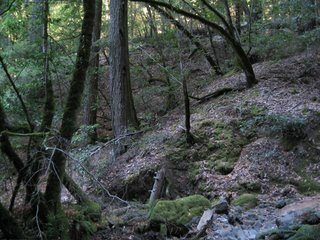 This tributary to the Upper North Fork Mattole has been heavily logged in the past. Since the rampant unregulated logging following World War II the forest here has mostly regenerated in a mix of Douglas Fir and hardwoods. There are, however, many landslides that appear to have been triggered by logging roads built around that time. Old-growth groves can still be found scattered amongst the smaller second-growth. Ancient Oak tree above Rattlesnake Creek. 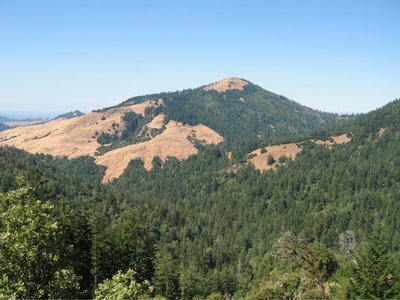 The Mattole Wildlands Defenders carry the torch of over 6 years of non-violent direct action in defense of the Oldgrowth Forests in the Rainbow Ridge area of the Mattole River Watershed. We also continue in our outreach and information spreading efforts. We seek the long-term preservation of the health of this ecosystem. • logging and road building on unstable slopes. Among the detrimental effects of this logging are; a loss of endangered species habitat, the threat of mass erosion and the creation of a buildup of flammable dead wood. 2. Pacific Lumber ‘s attempt to convince regulatory agencies to let them log closer to watercourses than is currently allowed. 3. Subdivision, sale and development of timber land and large ranches. Rainbow Ridge- The defense of over 2,000 acres of upland Oldgrowth Douglas Fir and hardwood forest on Pacific Lumber holdings in the North Fork of the Mattole River. 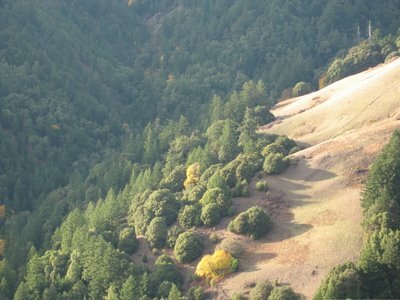 Monitor- Document forest and landscape conditions throughout the area. 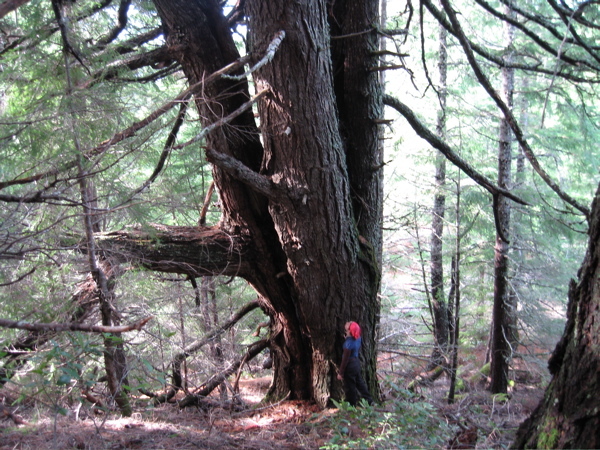 Identify areas at risk of immanent logging. Watch for signs of logging and related activity. Monitor happenings within regulatory agencies. Document wildlife. Defend- Take non-violent direct action to prevent irresponsible logging activity in this region. Restore- Identify erosion sites caused by human activity and use appropriate restoration techniques starting at the top of the drainage. 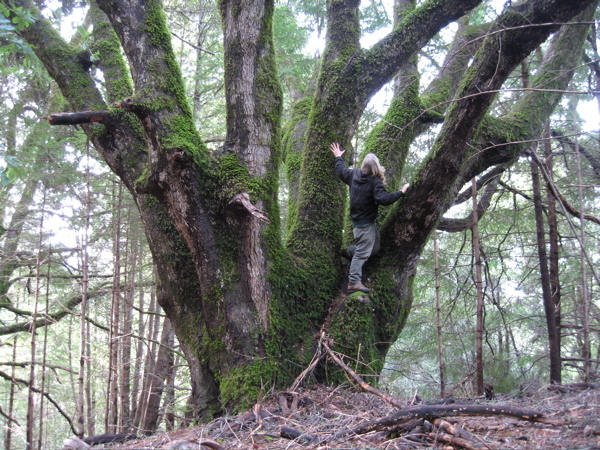 Replant native species in areas disturbed by logging. Restoration will be done during periods of low logging activity.